Kristin Barnette McCarthy is a trial attorney at Kralovec, Jambois & Schwartz and focuses her practice in the areas of personal injury, wrongful death, medical malpractice, nursing home abuse and neglect, as well as other catastrophic injuries. She has tried in excess of 100 jury trials to verdict, has successfully argued and achieved reversal before the 7th Circuit United States Court of Appeals, as well as in the First District Appellate Court, and obtained hundreds of settlements for both individual and corporate clients. Kristin just finished her one-year term as President of the Women’s Bar Association of Illinois (2017-2018). She has been an active member of the WBAI since her first day of law school in 2001, rising to the Board of Directors in 2009, and then served in 4 Officer positions prior to her presidency. Kristin was also President of the DePaul College of Law Chapter of WBAI in 2002. Kristin is also currently on the Advisory Board for the Women’s Bar Foundation, and the Board of Women Everywhere: Partners in Service Project. She previously served on the Women’s Bar Foundation Board of Directors from 2012-2017. Each year Kristin serves as a mentor in the Lawyer-to-Lawyer mentoring program for the Illinois Supreme Court Commission on Professionalism, participates in the Judicial Evaluation Committee for the Bar Alliance, and volunteers as a Presiding Judge for the YMCA’s National Judicial Competitions in Chicago. She has taught CLE courses and spoken on various topics including jury selection, jury instructions, closing arguments, defense tactics, as well as ethics. 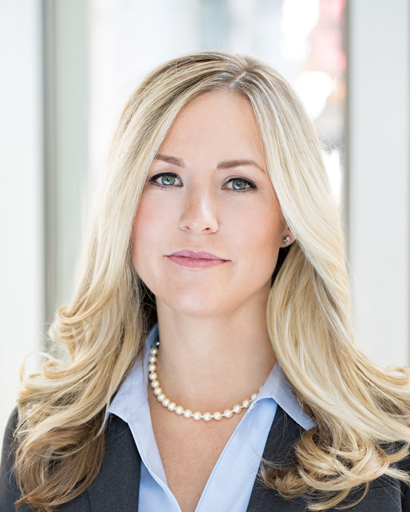 Kristin was named by Crain’s as one of the “Most Influential Women Lawyers in Chicago” in 2017, as an “Emerging Lawyer,” in 2016, and one of the “40 Illinois Attorneys Under Forty to Watch” in 2014 by the Chicago Daily Law Bulletin. Kristin received her juris doctor from DePaul College of Law in 2004, where she served as the research assistant to Torts and Social Policy Professor, Stephen Landsman, and was selected to be Editor-in-Chief of the DePaul Journal of Healthcare Law – overseeing a staff of over 30 individuals. In addition to her practice and volunteer activities, Kristin is devoted to her son Kiernan Connor McCarthy, and her husband Garry McCarthy, the President of GFM-Strategies, and former Superintendent of the Chicago Police Department.